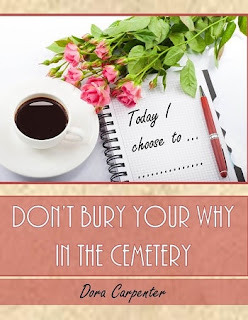 Today we are interviewing Dora Carpenter about her non-fiction book "Don't Bury Your Why in the Cemetery." My mission and passion is to help individuals work through life transitions, grief, and fear. 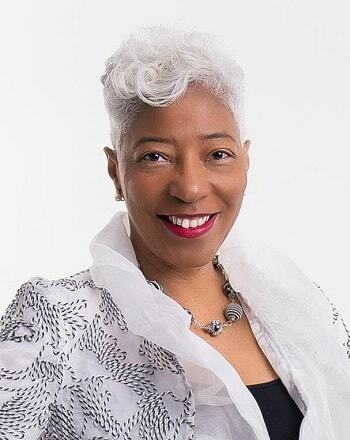 I am a certified professional coach, author, speaker, trainer, mentor, and founder of The ANIYA Group Life Coaching Center. I am honored to be one of a select group personally licensed by internationally known best-selling author and motivational speaker, Susan Jeffers, Ph.D. to teach her Feel the Fear and Do It Anyway® work in the United States. Recently, I was recognized by The National Association of Distinguished Professionals as a professional in my field and will appear in a 2015 issue of Women of Distinction Magazine. I want to help individuals, especially entrepreneurs and aspiring entrepreneurs, to find their ‘why’ and go for it. You were put on this earth to thrive, so what is stopping you? Entrepreneurs who have thought about quitting and aspiring entrepreneurs who might be sabotaged by roadblocks such as self-doubt or fear. What inspired you to write a book about living in the present? After working in the death care industry for many years and hearing countless stories of unfulfilled hopes and dreams being buried in the cemetery, it became my passion to help individuals appreciate and live more fully in the present. Why do you think it’s so difficult for people to live in the present? Do you think the increasing presence of technology has made it easier or more difficult to live in the present? In our fast-paced lives of options, opportunities, technology, gadgets, etc., we tend to always seek more… the next best thing. Sometimes, I question if our brains were even designed to handle the amount of multitasking and overload that we consistently impose on it. When was the last time you took a walk and noticed the petals of a rose? What are some of the dangers of living in the past or the future? You are held hostage by situations, or perceived situations, that prevent you from allowing and receiving all that life has to offer you right now. Emotions such as guilt, regret, fear, and disappointment are a few emotions that can lead to unhealthy physical, mental, and psychological effects. This quick-read is a dose of inspiration. A boost of motivation. A wakeup call to the fragility of life. A call to action to say Yes! to yourself, your dreams, and your life! In this complimentary eBook, I will give you my formula for achieving success and you will also be introduced to my 3-step Decide to Say Yes! coaching system.